The greatest service we can offer our landlords is peace of mind. 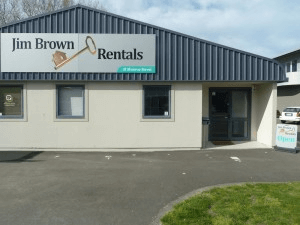 We offer a casual letting for Landlords @ $250 which includes taking photos of the property, Advertising on Trade Me, Reference checks of tenants and all paperwork. Peace of mind that we will handle the total management of their property through providing the complete property management service. The comfort, security and financial return that come from good tenant selection and long term, trouble free tenancies are invaluable to any property owner. However it requires time, knowledge, skills and resources that many landlords just do not have. Interviewing and screening of suitable prospective tenants through our rigorous selection process. Credit and reference checks can be arranged. Tenant selection is made and owner is notified. All documentation, including the residential tenancy agreement, is completed. Formal lodgement of bond monies with the bond centre. Rent payments are monitored daily. If a tenant becomes in arrears a ten day notice is issued and ongoing contact is maintained to ensure all arrears are paid. Rental funds are direct credited into landlords’ nominated accounts. Council rates and any other related expenses can be paid on landlords’ behalf. Monthly income and expenditure statements are provided. End of financial year income and expenditure statements are prepared. Rent increase negotiations when appropriate are conducted for landlords. We have established a team of reliable and efficient trades people who are available to carry out necessary repairs. A detailed inspection of the property is undertaken and a full report including photographs is prepared at the beginning of the management. Inspections are conducted throughout the tenancy. If a dispute occurs landlords are kept fully informed. When necessary Jim Brown Rentals present all cases before the Tenancy Tribunal on the landlord’s behalf. To provide the best possible service to landlords, our property managers are kept informed on the latest changes in legislation, regulations and market conditions. We belong to the local Property Investors Association and subscribe to appropriate magazines keeping us fully informed. We are always evaluating our business to become more productive and efficient. We bring in outside consultants for independent appraisals.